What is Obesity or Overweight? 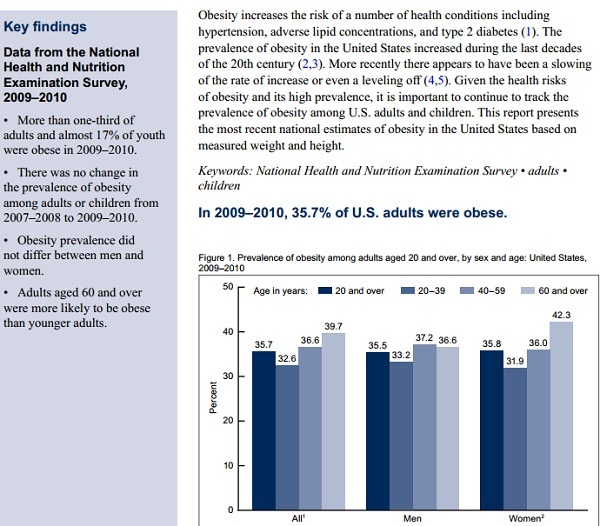 For adults, a “body mass index” (BMI) of 30 and over in general is considered to be obese although BMI may not be an ideal tool to determine the risk. It is far more important to understand the distribution of the weight, body fat composition etc. to understand the risks associated with Obesity. You could be in nomal BMI range and but can still have metabolic syndrome, pre-diabetes or even type 2 diabetes , and other diseases associated with weight such as cholesterol abnormalities. This is especially true if you have weight in the wrong areas such as the belly and upper part of the body. BMI is used because of the simplicity and for most people, it tends to correlate with their amount of body fat. Body body percentage is more important! Other methods of estimating body fat and body fat distribution include measurements of body composition analysis, skinfold thickness and waist circumference, calculation of waist-to-hip circumference ratios, and techniques such as ultrasound, computed tomography, and magnetic resonance imaging (MRI). The ideal waist to hip ratio for women should be 0.8 or lower and for men should be 1 or lower. That means, you should not have a big tummy or upper body weight for reducing the metabolic risks associated with weight. How do I know my risk related to weight? Are there any free online tools I can use? Use this free online insulin resistance calculator available on W8MD website to determine your risk! •The individual’s waist circumference (because abdominal fat is a predictor of risk for obesity-related diseases). •Other risk factors the individual has for diseases and conditions associated with obesity such as high blood pressure, prediabetes or diabetes, cholesterol abnormalities, especially elevated triglycerides. W8MD is a physician supervised medical weight loss program that is tailored to your needs. Using evidence based methods, W8MD physicians can help you lose weight safely and effectively under careful physician supervision. And the best part of the program is that most W8MD programs accept health insurance for the physician visits! Our physicians have received a thorough education in the field of bariatric medicine dealing with non- surgical medical weight loss. We also provide extensive counselling on wellness for individuals, families, and small businesses to help keep you healthy. We can prescribe approprite FDA approved weight loss medications or diet pills whenever clinically appropriate as determined by the weight loss physician after a physical examination and or any tests such as EKG, or simple blood work. Our W8MD (weightMD) weigth loss office in Brooklyn is accessible to all 5 boroughs of New York City. Due to popular demand, we only acccept about 10 new patients a week at this time. Call 718-946-5500 for more information or to make an appointment. You can also book appointments online.